You’d be hard-pressed to find an industry more in a constant state of flux than user experience design. UX practitioners operate in a nebulous space that’s shaped and reshaped by trends and paradigm shifts, whether that’s learning to design for new technologies or developing best practices for new kinds of interfaces. Sometimes it feels like we’re building the bridge while we’re crossing it. But while every designer knows it’s necessary to keep abreast of the latest and greatest in their ever-changing industry, the best ones thrive by recognizing what remains the same, by reapplying the indelible principles of UX design to a new set of challenges. Of these principles, perhaps none is more constant, or crucial, than the idea of incorporating narrative into design. “Digital storytelling” has unfortunately been co-opted by buzzword-loving marketers and corporate types, but it at its core, narrative remains the essence of nearly all our digital experiences. The currency of our digital lives is the story—your Instagram story, your Snapchat story. What is a timeline if not a narrative, and what is an ecommerce experience if not a personal quest to find the perfect product? Narrative is inextricable from user experience, so in this article UX design agency Codal reviews why it’s important, and how to wield its power properly. The short answer: Humans are inherently programmed to respond to and engage with stories. Narrative resonates with us at a fundamental level, and that’s why storytelling remains a constant in all forms of UX. Stories can support the usability of an experience by translating complex ideas or processes into easy-to-understand, digestible information for users. 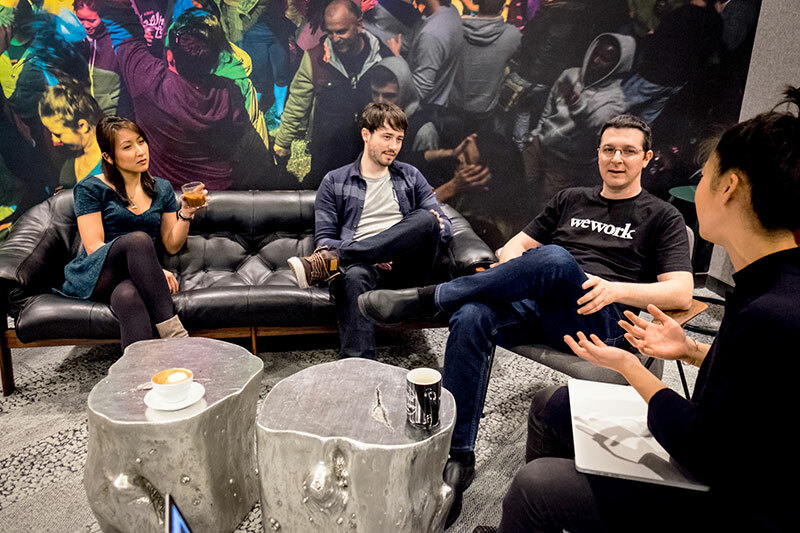 They’re also an excellent opportunity to engage with the user, potentially evoke an emotional response, and ultimately forge a stronger connection to the platform they’re interfacing with. When you consciously inject narrative into your experience, the user becomes the protagonist—you as the designer are the architect and author, but you have made the user the hero of their own experience. 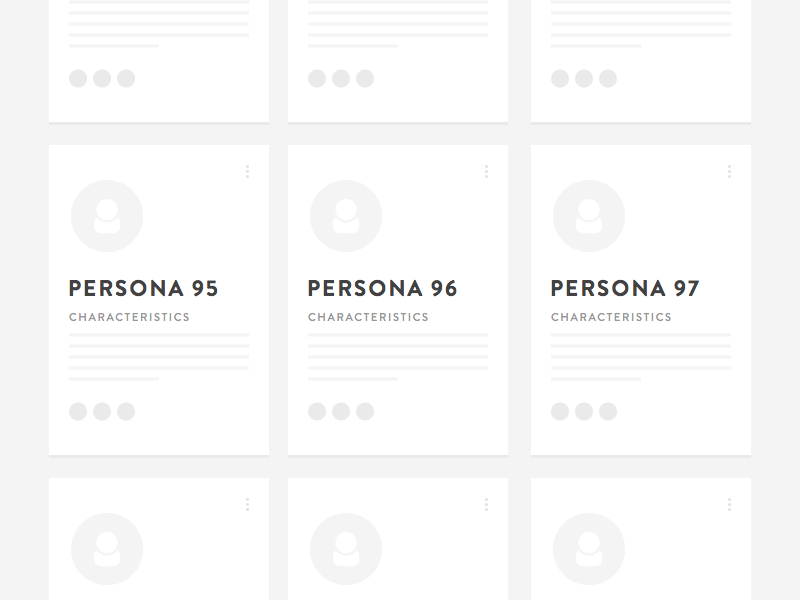 By reframing the user as a protagonist, you can ensure your design remains user-centric. This is a great exercise, even for designers who actively think of their design in storytelling terms, because often our own narrative biases can distort and pollute our design. Designers are humans too, which means we’re just susceptible to the power of narrative as the user. I’ve talked before about how UX design is an intersection of a slew of different fields and disciplines, one of which is psychology. User psychology informs nearly all of the UXer’s design choices, which is why it’s important for us to understand concepts like narrative bias. Narrative bias takes the power of storytelling and flips it against the designer, causing them to veer from a purely user-centric design. It’s a strong force, but has a simple definition: Narrative bias happens when people interpret information to be a part of a larger story, when no such story actually exists. B) A high-school diploma, but no college education? Now what would you say? Are you leaning towards A? After all, it makes sense that someone reading an intellectual publication like the Times is going to be well-educated. Right? This is narrative bias, specifically base-rate neglect, in action. We’ve taken a tiny detail (this person is reading the New York Times), and from it created a larger narrative (this is an educated person reading intellectually stimulating material). The base rate of people with PhDs versus people with GEDs is the stronger information here, but we’re neglecting it in favor of a narrative based on one flimsy detail. Don’t feel bad if you chose A—you’re not alone. 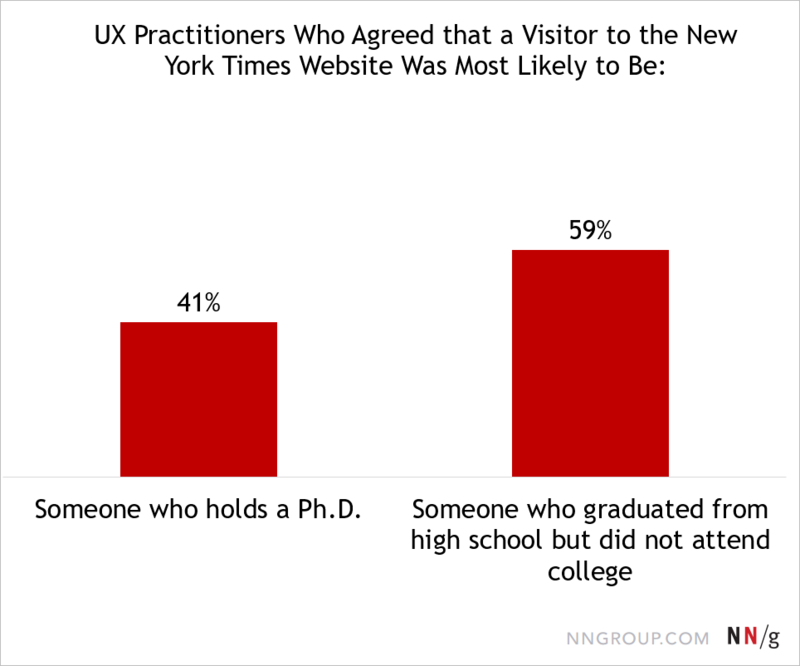 NNGroup conducted this same exercise with 1,000 UX practitioners, and a whopping 41% of them said the reader was someone who held a PhD. Narrative bias strikes again. The language of storytelling is omnipresent in the UX design process. We create user stories and map out user journeys. We storyboard and craft characters in the form of user personas. These techniques parallel the mechanics and methods of forming a narrative, and all UX designers are familiar with them. But few UX practitioners consider the actual words, the verbage, used in their experiences—those are typically shunted to a copywriter as an afterthought, or added to the platform piecemeal by different designers, analysts, or developers. UXers are great at creating narratives through icons, layouts, and navigation structures, but many miss a serious design opportunity when it comes to the words and language of the experience. 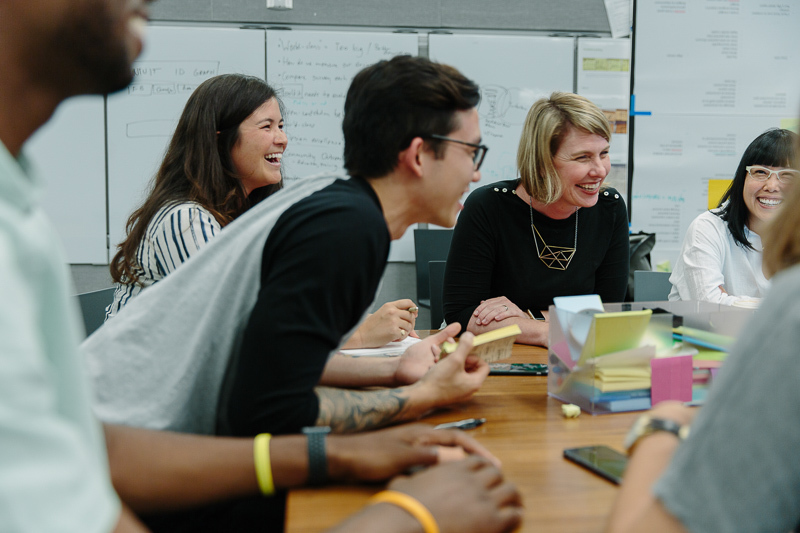 Few designers understand this better than Jessica Collier, a former member of the product design team at the popular note-taking and organization platform Evernote. Collier describes the detriment of ignoring the language of a user experience, especially when the crafting of that language is scattered across different team members. When designers are dedicated to harnessing the power of narratives—by designing around a story, avoiding their own narrative biases, and having a concrete linguistic strategy—their experiences not only benefit from it, but the end users do too.